Shaye Martin is a native of Pensacola, FL and graduated from the University of West Florida with a Bachelor’s in Hospitality, Recreation and Resort Management. Shortly after graduating college she moved to Orlando, FL where she began her career in vacation ownership. After landing a job with Diamond Resorts International, with zero experience of the industry, she quickly became the top producer of the VIP Marketing team producing over $5 million in sales during the first year and received the Top Producer award for 10 months out of her first 12. She was with Diamond Resorts for 4 years and produced over $25 million in sales. 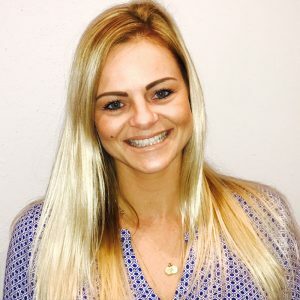 Shaye moved backed to her hometown of Pensacola, FL in 2016 to take a job opportunity at Portofino Island Resort as the Assistant Owner Relations Manager. She gained a plethora of knowledge on property management in her short 8 months with Premier Island Management Company but made the decision to focus on the cosmeceutical company she owns and operates with her family. After getting the company off the ground and fully operating, she has decided to join forces with her brother in the real estate industry. Shaye has always had an interest in home building and real estate. She grew up in the construction and real estate world as her father is a custom residential and commercial builder. Throughout her life, she has been involved in many projects alongside him including designing his personal home. This infatuation as a child has grown into a passion that has led her to a career in real estate with the Nathan Abbott Team of ResortQuest. Shaye is very excited to join a team that has consistently ranked in the top half percent for production on the Emerald Coast and has ranked number one in ResortQuest Real Estate for the past five years.